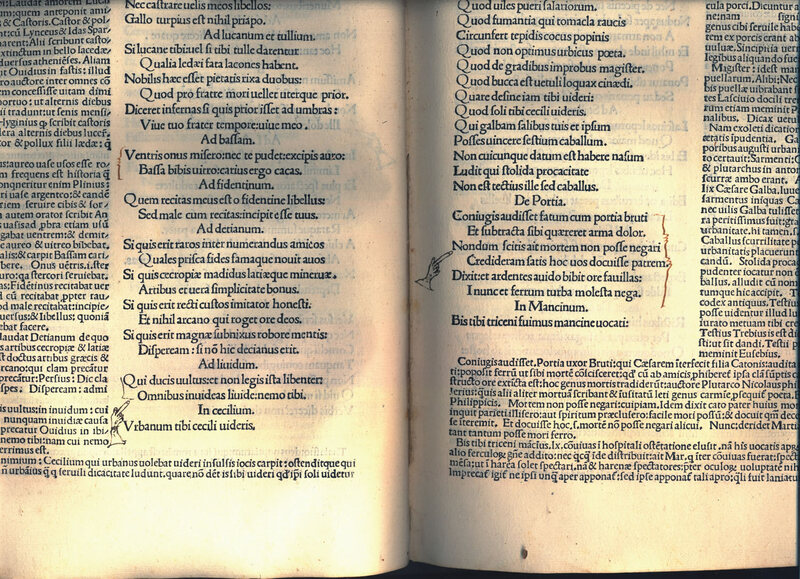 Martial, Epigrams, with the commentary of Domitius Calderinus (Domizio Calderini). Pr. 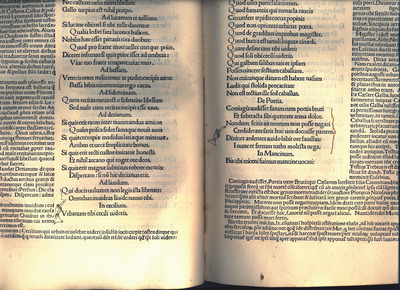 Baptista de Tortis, Venice, 17 July 1485. On ff. ai and ii are ‘Gir(ola)mo Orli’. From the Library of Christ College; the gift of Rev. R.R. Davies in or before 1848.